I couldn't work in my sewing room today, so I decided to do some stockinette application. I had several dolls that I wanted to add stockinette. 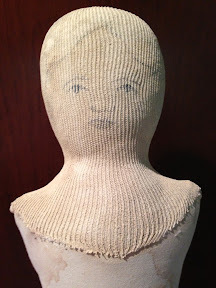 The doll below had been a cloth doll and I experimented with applying stockinette bandage materials. It ended up being far too prominent, so I tried to put another layer of smoother stockinette on. The stockinette didn't work because I tried to use regular Elmer's glue, and it doesn't dry fast enough to grab the fabric. So I pulled it off and smoothed the glue to let it dry and will try again with a faster drying glue. Here are the other three that were slated for covering with fabric. 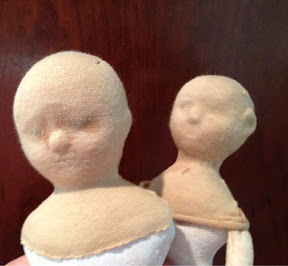 I was able to do the smaller two dolls. Here's what the little ones look like. the back one has had more experiments than I can count. 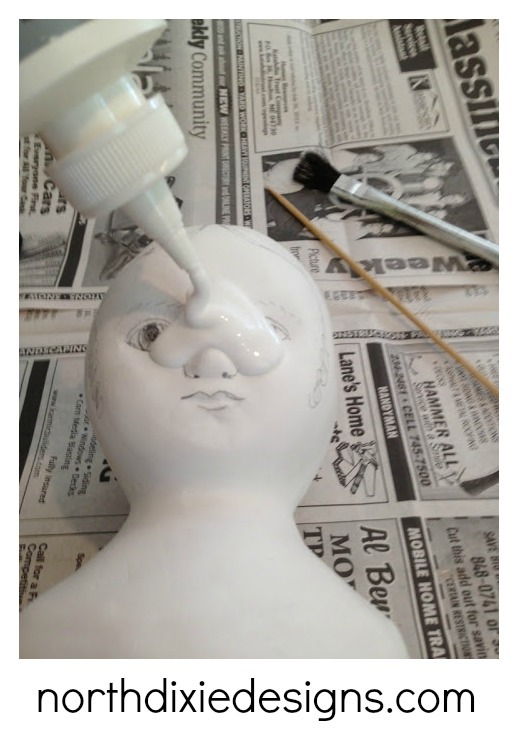 By the time I got them done I was DONE with Adventures with Glue. I'll let this dry, and then will put a layer of gesso on the fabric. Top photo: Arrgh, hate going to the dentist! 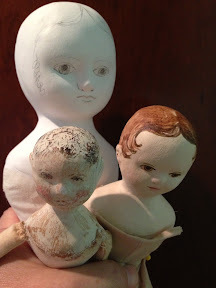 -The dolls are looking good with that stockinette. 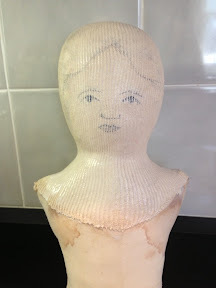 I know this is two years old, but, I make cloth and paper/plaster dolls and the glue I use for adhering the cloth to the paper/plaster heads is a wood glue called Titebond II. I like it because it is very tacky and when it's dry it can be sanded and painted and helps make the piece waterproof.